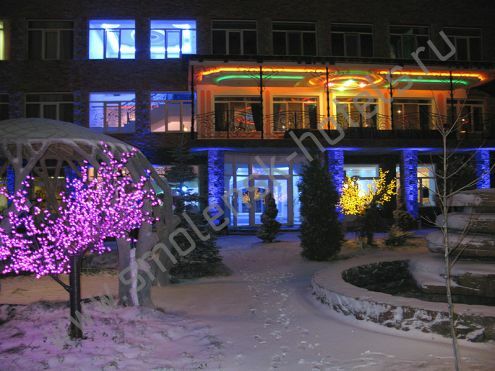 The hotel is situated in the west part of Smolensk, 15 minutes drive from the centre. There are 46 unique rooms in the hotel. All your wishes will come true here! If you wish romance – attic-floor rooms are at your disposal. Luxurious rooms are for sophisticated clients and just married couples. In this hotel you will spend your best time! Comfort, tranquillity and high-class service will make your stay unforgettable! Economy-class attic-floor rooms 1800 руб. руб. Single standard attic-floor rooms 1900 руб. руб. Double junior suite room 2500 руб. руб. Single luxury 2800 руб. руб. Double luxury 3000 руб. руб. Double business-class room 2800 руб. руб. Suite of rooms 6000 руб. руб. Double room 7000 руб. руб.